An off-the-grid woodsy adventure—with the proper gear and safety precautions—makes for a truly memorable experience tromping around the Olympic National Park. Here are our recommendations for five must-have accessories to make your ONP adventure one for the books. No matter how far your hike takes you, you definitely need sustenance—and something in which to carry it. Whether a daypack and bottle combo is your style, or you prefer an all-in-one hydration pack, make sure your water reservoir is filled before you leave. Likewise, fill your pack with tasty snacks to sustain you on the trail. Bringing more water and food than you think you’ll need is always a good idea, and especially so if you’re hiking in a more remote area and dealing with unpredictable weather. You can carry water in anything from a Mason jar to a gourd, but we prefer Liberty Bottleworks Artist Bottles. They are durable and perfect for hiking, and feature an easy quarter-twist closure system. Best yet, they’re made in Yakima and are reusable, making them one of the greenest solutions around. As far as we know, science hasn’t answered the pressing question of just why food tastes better outdoors. Whatever the reason, we have no doubt that anything eaten en plein air—and especially after hiking in the woods—tastes at least 85% better. Our favorite snacks for winter hiking are calorie-dense, easy to pack, and made right here in the Pacific Northwest. Among the best: Marge Granola (grab ‘n’ go packets serve up fruit and nut combos like Raspberry Crumble Cashew Mix and Berry Macaroon Almond Mix); and Tim’s Chips (kettle-style chips in traditional and adventuresome varieties). Unpredictable PNW weather can make trails a bit slick, so it’s extra-important to wear waterproof footwear. Hiking accessories like trekking poles and a good pocketknife are useful year-round, but particularly advantageous to have on hand for winter hikes. The Outdoor Gear Lab considers trekking poles essential, particularly as they increase traction and help maintain balance on uneven surfaces. The Lab’s list also includes a variety of other functions that good trekking poles can perform, from propping up shelters to serving as defensive weapons! Black Diamond’s Distant Z set is lightweight and foldable, making it easy to take them anywhere. Pocketknives run the gamut from itty-bitty keychain varieties to more substantial, palm-sized ones. For the sake of versatility, we like one that moves seamlessly from office to outdoors. CRKT’s 14K Summit Series four-inch knife manages to combine elegant style with formidable serrated edges and a handle designed for a solid grip in any conditions. Whether your hike takes you to a scenic overlook, a waterfall, or even a summit, the journey is the true reward. Nonetheless, achieving your goal deserves its own celebration—especially if you’ve accomplished it in less-than-optimal conditions. Whereas in the summer we like to kick up our feet in a lightweight hammock, in winter we prefer something a bit warmer. 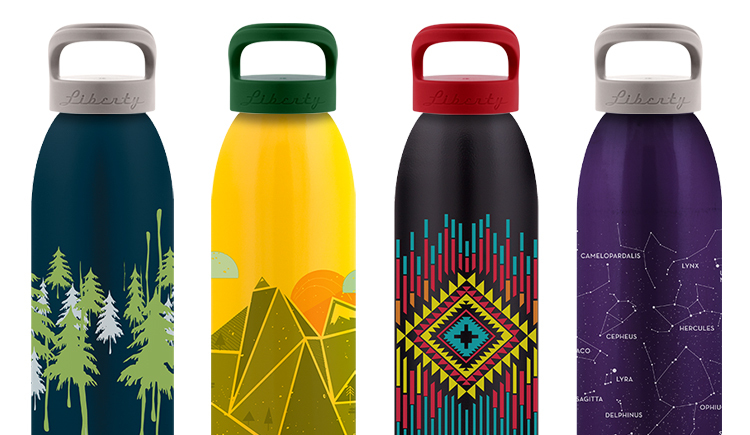 Whether you fill it with hot chocolate and marshmallows, chai, or a hot toddy, Hydro Flask bottles keep liquids hot for up to six hours. That means you can fill it at Espresso 143, Hoodsport Coffee Co., or Urraco Coffee Company (add your own Hardware Distillery spirits for an extra kick! ), and it will be just as delicious when you crack it open at the trail’s end. Let a little rain, snow or cold stop us from enjoying Olympic National Park? No way! With provisions and accessories this good, we’re actually looking forward to seeing what the weather can throw at us—and how much we’ll enjoy getting out in it. Have an especially memorable hike? We’d love to see it! Get social with us on Facebook, Twitter, Pinterest and Instagram, #wildsidewa and #explorehoodcanal.